Archaeological excavations have rarely documented the birth and development of religious Islamic architecture in the Hijāz (al-Rabadhah, al-Mabiyyat); none had in the Najd. 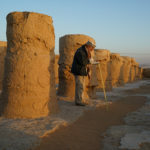 In this respect, the fieldwork conducted by the Saudi-French archaeological Mission in the oasis of al-Kharj (Central Arabia) filled this gap by discovering and excavating the Great Mosque at al-Yamāma —ancient Jaw al-Khaḍārim, capital city of al-Yamāma region. The 5-year-long project revealed a Late Islamic mosque (16th-18th cent. AD). Soundings and a careful examination of its floor proved it to be laid upon an Early Islamic mosque (8th-10th cent. 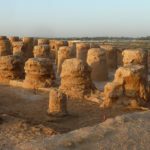 AD), itself built over pre-Islamic dwellings. 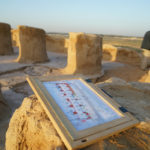 The stratigraphic sequence, architectural analysis, material study and AMS radiocarbon datings at al-Yamāma enlighten the early development and evolution of Islamic religious architecture in the Najd. 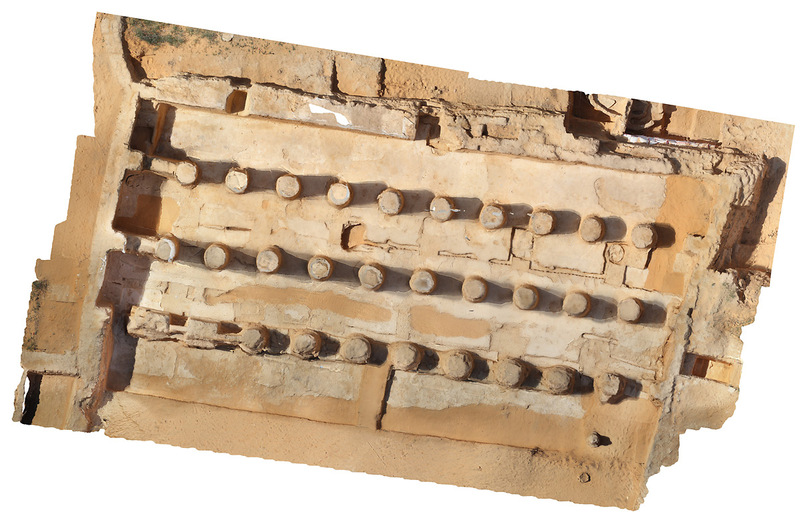 They also reveal a long chronological sequence of occupation on a Central Arabian site (5th cent. BC – 18th cent. AD) and its hiatus, thus raising once again the question of a regional decline at the end of the pre-Islamic period and in the Middle Islamic period. Therefore, the purpose of this paper is twofold: 1/ present the results of this work; 2/ replace these within the frame of the development of Islamic religious architecture and that of the regional occupation in the long term. Darles Ch., 2016. « Al-Yamāma – La Grande Mosquée (Area N6) : étude architecturale ». In J. Schiettecatte (dir. ), Preliminary Report. Fifth season of the Saudi-French Mission in al-Kharj, 5 January-5 February 2016, on-line: https://halshs.archives-ouvertes.fr/halshs-01485741, p. 90-101. Schiettecatte J. & al-Ghazzi A. (ed. ), 2016. Al-Kharj I. Report of two excavation seasons in the oasis of al-Kharj (2011-2012). Saudi Arabia. Riyadh. Siméon P. & Schiettecatte J., 2015. « Al-Yamāma – The Great Mosque (Area N6 – Building 1) ». In J. Schiettecatte (dir. ), Preliminary Report. Fourth season of the Saudi-French Mission in al-Kharj, 23 January-27 February 2015, on-line: http://halshs.archives-ouvertes.fr/halshs-01186755, p. 27-73.